P.S. 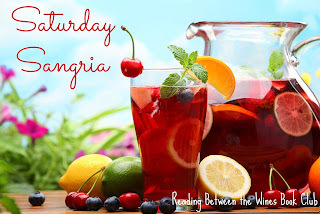 I'll be switching up between wine cocktail (like this one) and sangria recipes, with this weekly feature! Combine in large sauce pot: milk, chocolate chips, cocoa, cinnamon stick, and salt. Heat on low, stirring constantly, 7–8 minutes being careful not to scorch chocolate and until milk starts to steam but not simmer. Add wine; continue to stir over heat for 10 minutes. Remove from heat. Ladle mixture evenly into 4 coffee mugs; top with 1 tablespoon marshmallow topping and peppermint pieces.